When you pop open a DVD case, you generally expect to see some bright and shiny graphics staring at you from the label side of the DVD. Occasionally, however, what you may find instead is a disc that has no label but is as blank and shiny on one side as it is on the other. So what gives? If you come across one of these discs, what you have in your hands is a dual-sided DVD. There are many reasons why a studio may publish a dual-sided disc. Perhaps a widescreen version is one side and full screen on the other, or a theatrical version and unrated version. In the case of TV series or miniseries, the second side may simply continue from the first. In any case, what it boils down to is taking content that would otherwise require two discs and compressing it onto one. What do these dual-sided discs mean for libraries? In general, they aren’t much different from single-sided discs. 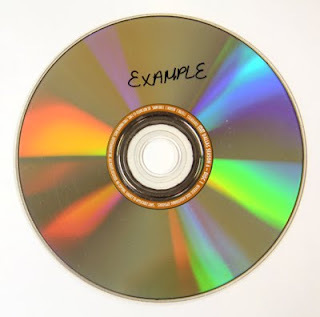 The one thing you must keep in mind, though, is that you can’t apply labels to or write on the surface of either side of a dual-sided disc; doing so will render that side of the disc unplayable. If you must affix labels or write on the discs, it must be done on the plastic hub in the center of the disc. Do you have questions or concerns about dual-sided DVDs? Have you experienced any issues with them in your library? Let us know in the comments section below.